My, oh my... or should I say 'May'? As I mentioned, we had a holiday today and that meant we practically had a super long weekend that I used to work on the comic. 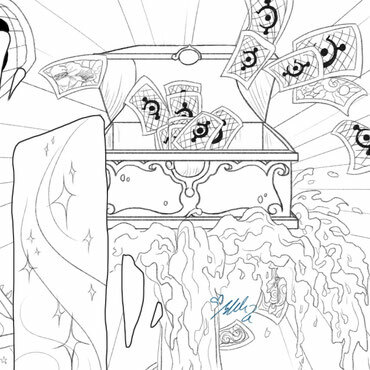 I didn't get as far as I had planned to, but at least the lineart is finished now. The last bit took me quite a deal longer than originally anticipated. But I'm still somewhat in schedule. After all finishing the page this weekend was more of a best-case/dream scenario. So the next weekend (which is also a long one due to another holiday), I'll get to that and hopefully will be able to bring all the details together without having them brawl for attention... What can I say, I need the most experience and improvement when it comes to colouring and shading digitally... but finger's crossed and happy first May!